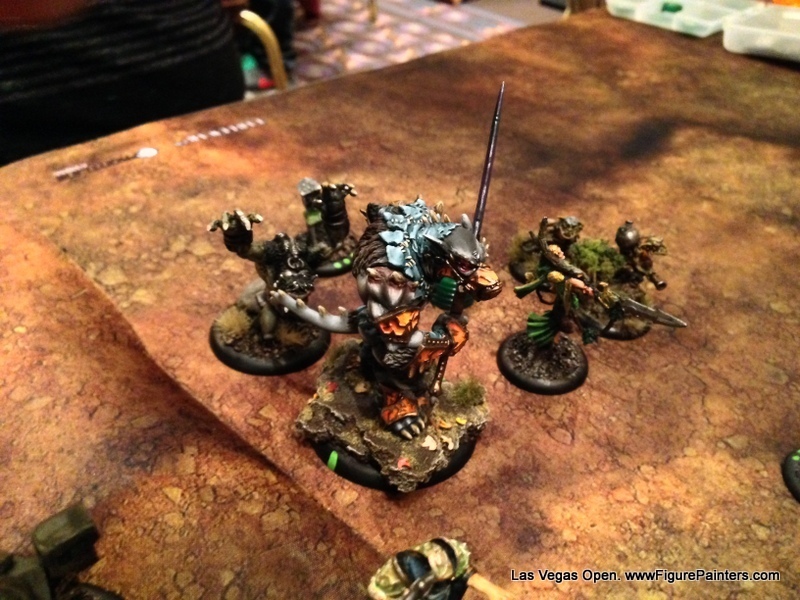 Here is the photo dump from this years Las Vegas Open. Thank you to everyone that was able to make it out! 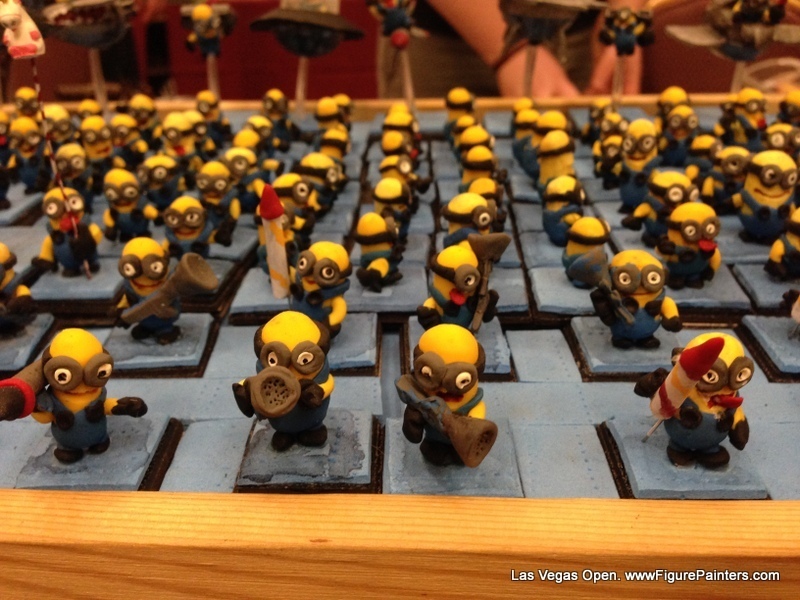 First off, I want to thank everyone that came out to the Las Vegas Open this year. You are a great group of gamers to have. 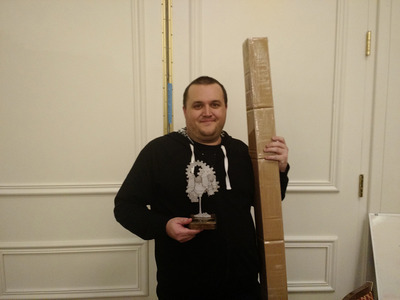 I look forward to seeing you next year and at other events where I won't have to play Overlord! A special thanks to all the volunteers that helped out over the weekend, you guys make events like this possible. For the photo dump of the weekend you can go here. 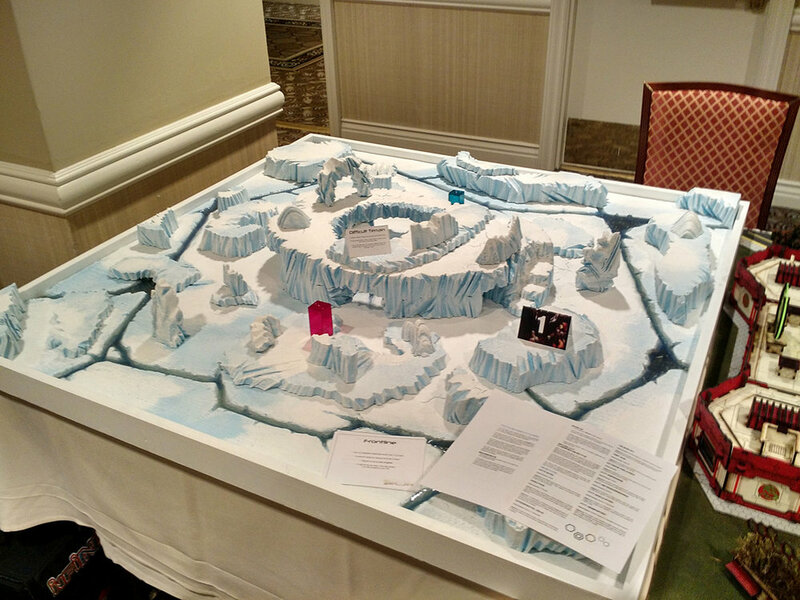 I have received a lot of good feedback over the weekend and after the event. People seemed to be having a ton of fun and events ran smoothly on the play and admin sides too. There are always things to improve, and I have a list for next year going already! 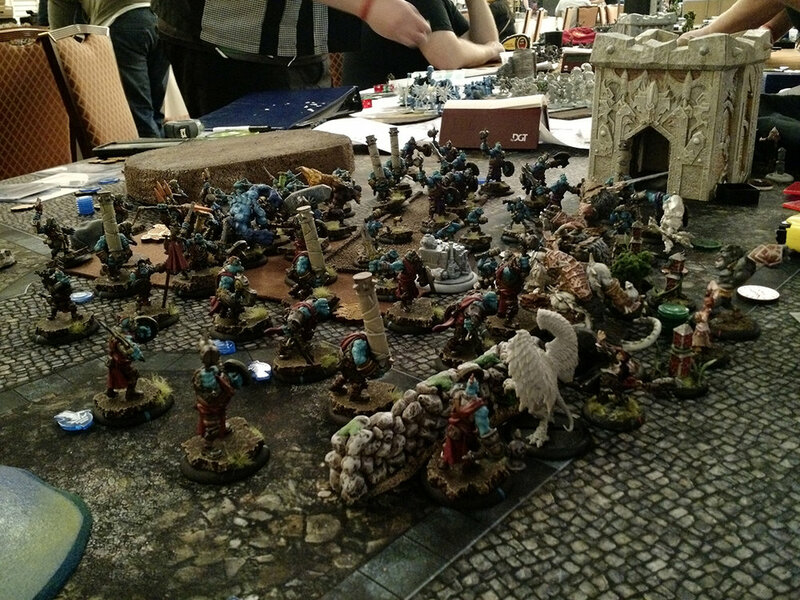 This year I decided to pack the truck early so I would not have to try and figure out how to pack a con's worth of terrain, supplies, and four other gamers (with their stuff) into my truck the morning I needed to leave. So Wednesday I spent a good part of the day packing, then taking everything out, then packing again to make sure everything would actually fit in the truck. Thursday morning the people that were driving with me showed up. We finished packing their stuff in the truck and set out to Vegas. A short seven hour drive later we arrived. Due to a variety of things we were not able to start setting up 'til 9pm with the help of my locals that traveled with me. Thanks guys! We called it good enough at midnight, and I would finish in the morning. Friday morning rolled around, and I arose quite early to make sure everything was set up for the festivities to come. And oh boy were there a lot of you! 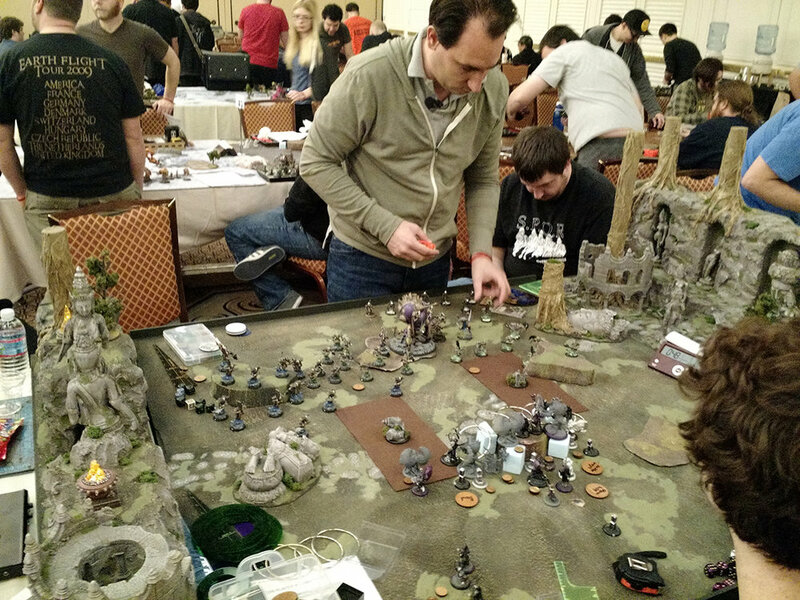 The first event of the weekend was the Team Tournament. This year we used the WTC style of pairings. It looked to go pretty smoothly from where I was. I would be interested in specific feedback on whether you guys liked it or not. 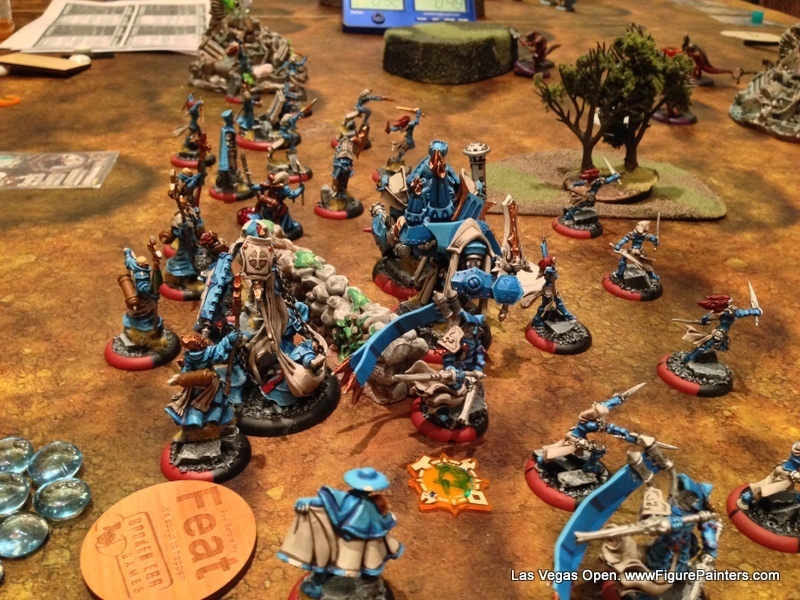 That evening was the Mangled Metal Tournament which thankfully I had someone else to run so I could get some sleep. Saturday would be the largest of the tournaments we held that weekend so I was up early again to make sure everything was in order. Start time rolled around and off we went. A mere 14 hours later and we had a winner! (Standings, pictures, and lists will be posted below). 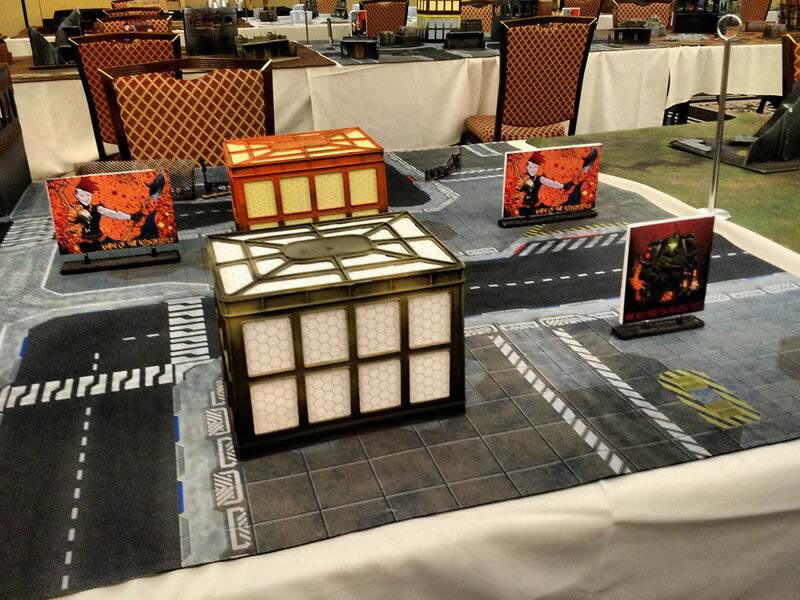 Again, thankfully I had someone to run the Tier Tournament that night, so back to bed I went after some clean up and prep work for the morning's Masters. Sunday was Masters and Who's the Boss with them just slightly offset to get Masters going before Who's the Boss started. I was able to play some games in Who's the Boss between doing other duties. Thank you guys for those games! They were the only two I played all weekend. It is nice to get my CoC out. 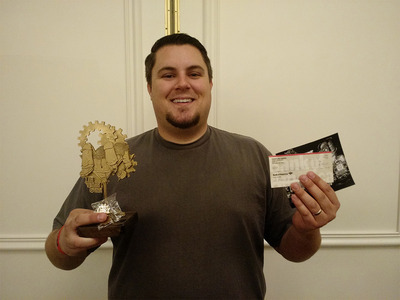 The Winner of the Masters events was Ryan Chiriboga with all the cool trophies, the WMW invitational ticket, and a $500 travel voucher to WMW from LVO/Frontline Gaming! I also want to thank all the great vendors that provided prize support. We gave out quite a pile of prizes over the weekend. I look forward to seeing everyone next year and out on the circuits! 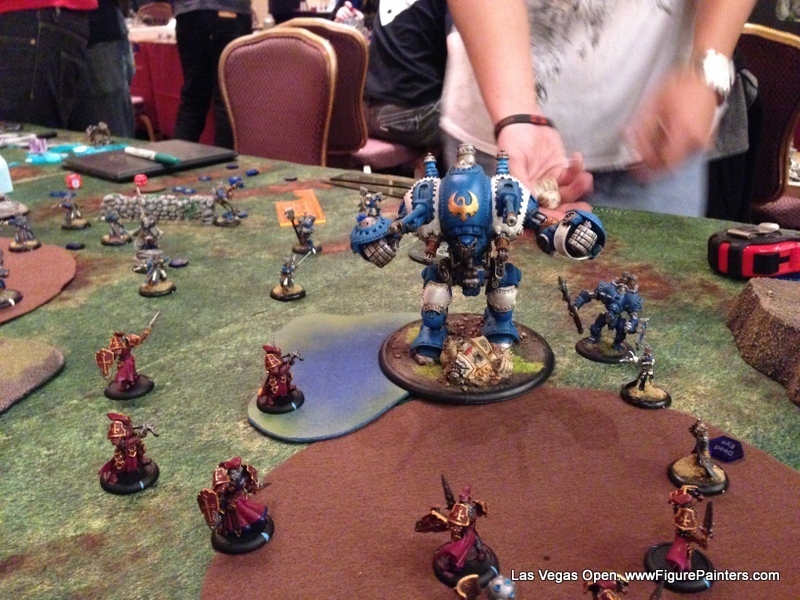 You can view videos from the weekend at the Vegas Vanguards YouTube Channel. Thank you for doing all that work Peter Lipphardt! Remember to please be respectful to the players in the videos as they agreed to be recorded for your enjoyment so we can keep doing this in the future. 3rd Place: Stay at home dads; Josh Thorpe, Sam Nevel?, Dominick Gougoz? 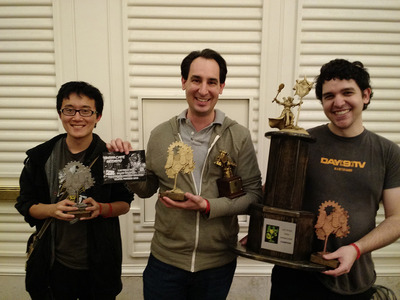 Winners of the Who's the Boss event with their prizes. And the winner of the 3 painted Colossals that were part of the pile of raffle prizes over the weekend. 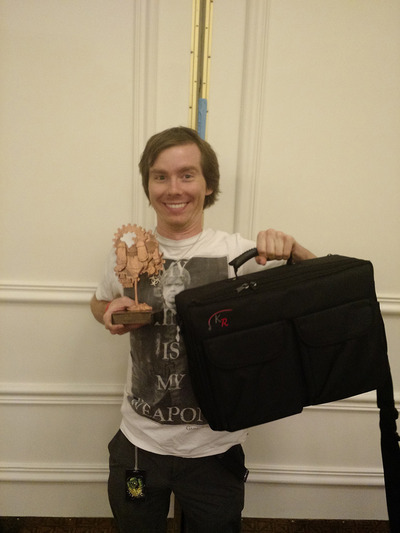 Only one prize here, Ian just so happens to have an earthbreaker that matches his prize too! 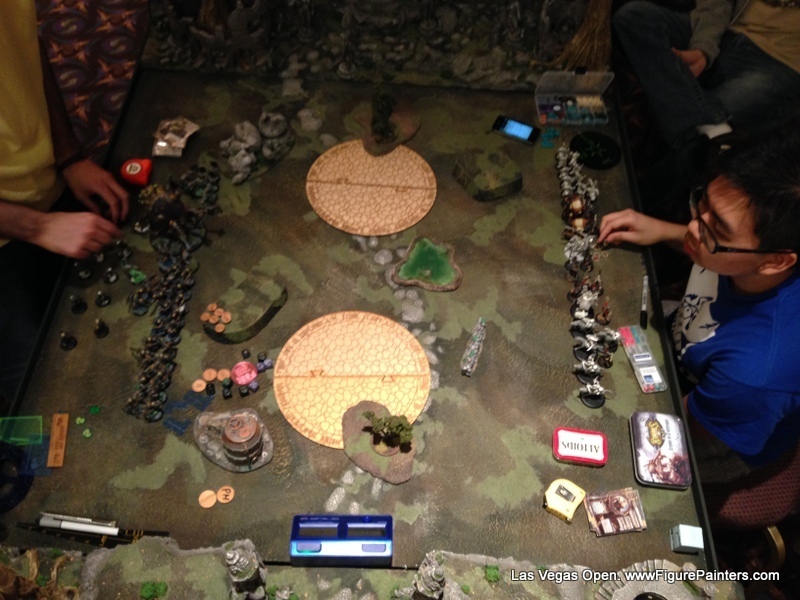 Thank you again to everyone that came to LVO! I can't wait to see you next year. I had a great time meeting everyone that was able to come. Here are a few pictures from this weekend. 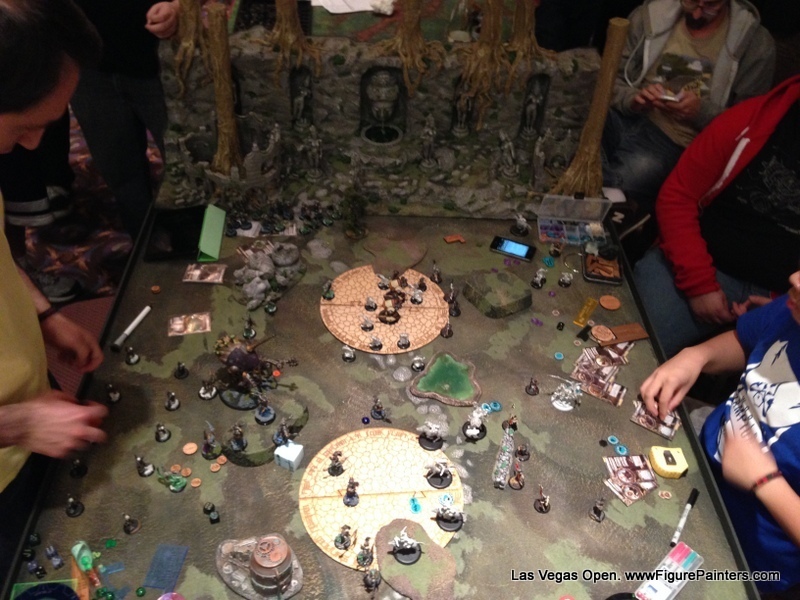 Firstly, I would like to thank everyone that came out to the Las Vegas Open and made it such an awesome weekend. I had a great time hanging with everyone I only get to see a few times a year and meeting such great new people, too! I want to say thanks to Frontline Gaming, Gail, Will, and Inyoung, who helped make the weekend run so smoothly and made sure everyone had a great time. 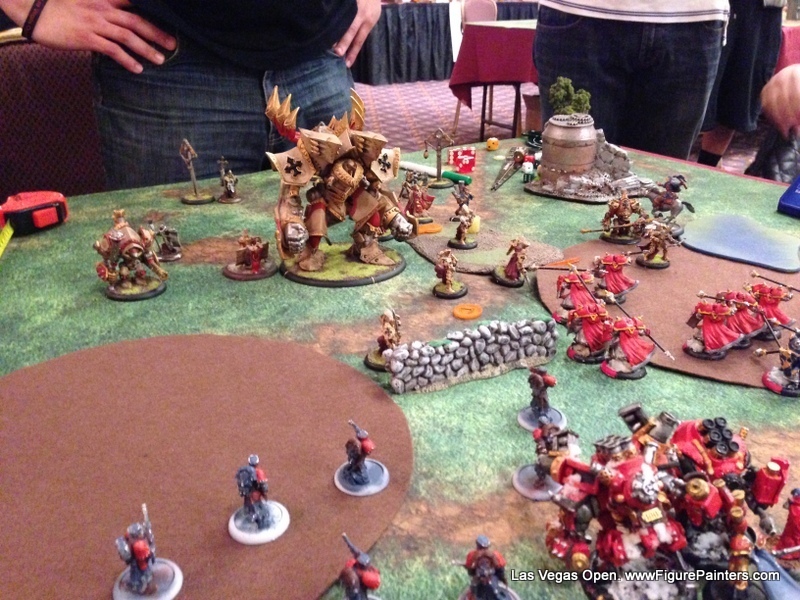 Here is the breakdown for the events of Las Vegas Open. 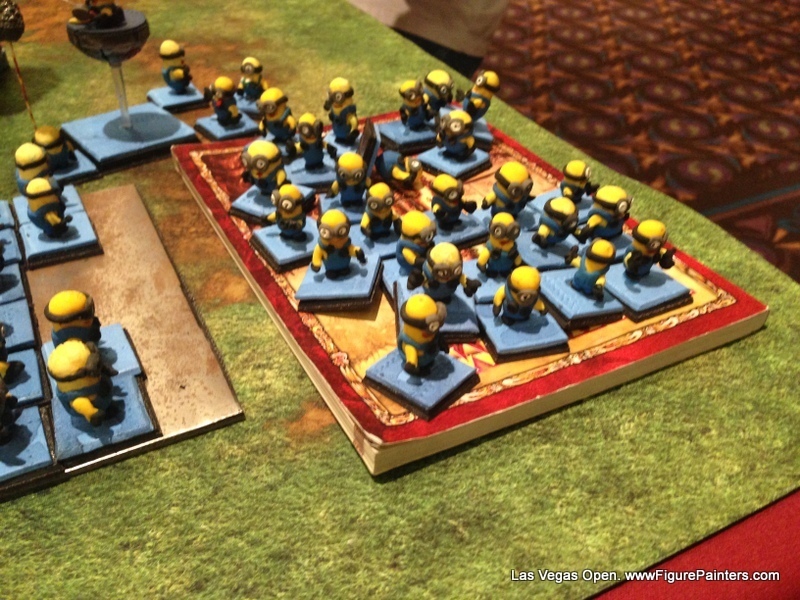 Top five places along with lists for the 50 point Steamroller and WMW Masters Event. The Store Wars Trophy goes back to Imperial Outpost who made a great showing over the weekend! 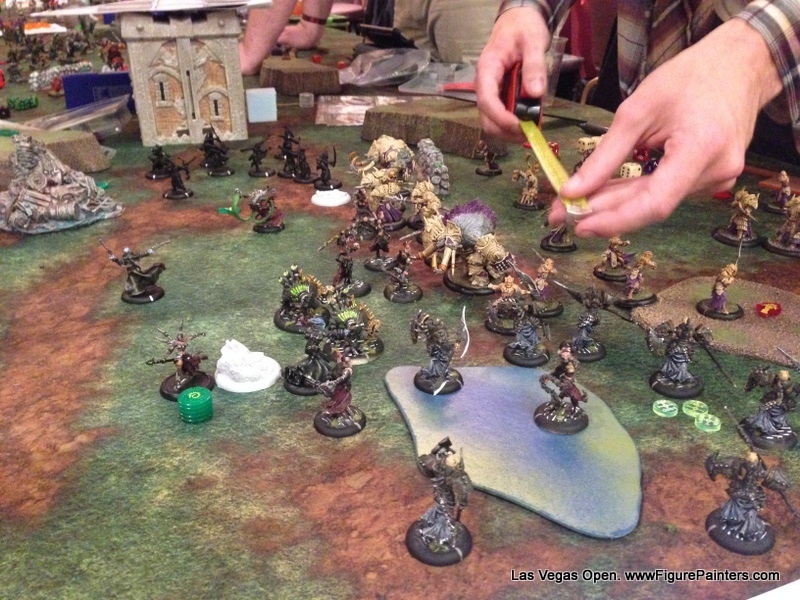 1st Place- Ryan Chiriboga, Cryx. 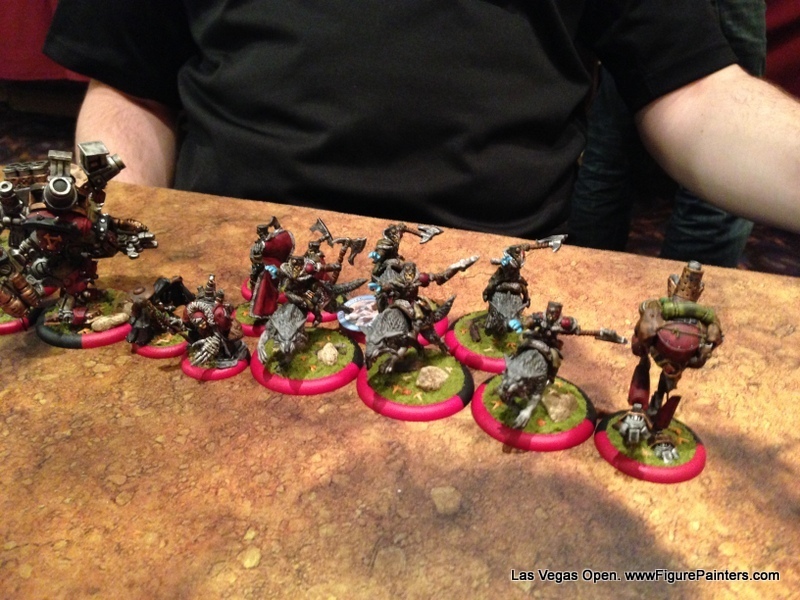 Las Vegas Open Grand Master, WMW invitational winner! Road to Kigndom Con Winner!